What is a Genesis Child Theme? Genesis Child themes are WordPress themes which are dependant on the Genesis core framework being installed and cannot function on their own. This means they benefit from all of the hard work done by the guys over at Studiopress and can offer an amazing framework which is secure, flexible, automatically updated, search engine optimised and super fast loading. 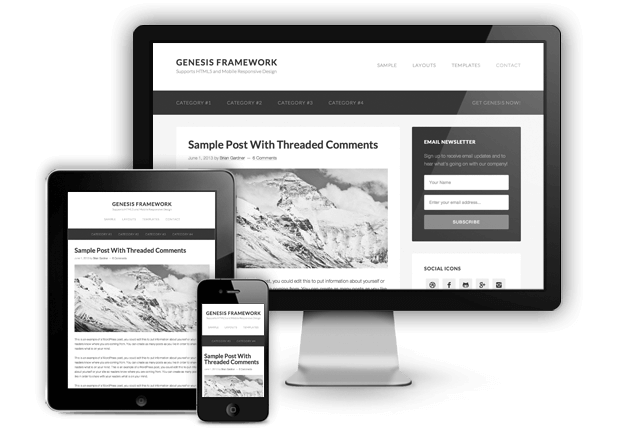 If you are just learning how to start a blog or website using a self-hosted install of WordPress then Genesis is by far the best Theme framework. Genesis is so good in-fact that WPEngine recently acquired it and is going to be giving it to all customers absolutely free. 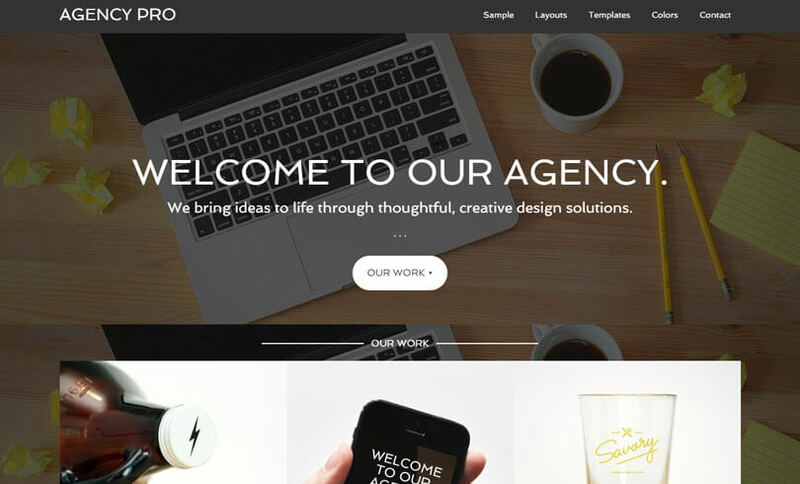 Did you know we also specialise in working with the Genesis Framework by Studiopress. Genesis is one of our favourite few platforms to use with WordPress as it offers us super fast loading times, complete flexibility, maximum compatibility with plugins and a whole lot more. If you are looking to build your new website on Genesis or looking for some redesign work then speak with one of our team. We can help with the basics like setting up your choice of Genesis Child Themes from The Studiopress repositiory or 3rd Party Developers or we can also custom build you your very own Genesis child theme / skin that is completely bespoke to you. If you have chosen a Genesis child theme that suits your requirements and need assistance setting it up properly and getting the most out of it then get in touch for our Genesis child theme setup service. Want to learn how to get the most out of your new Genesis website? We can show you all of the ins and outs of Genesis, what makes it so special, and how to use the different features so you are truly in control of your WordPress website. If you need something a bit more specific then we can use Genesis to build your website from the ground up. Pretty much anything is possible with Genesis so whether you need a real estate/realtor website with property listings or a fully functional eCommerce store running WooCommerce to show off your products then we can help. We can help you in three ways with plugins. 1) Help with setting up Genesis specific plugins to extend your WP site’s functionality. 2) Help with setting up general WordPress plugins with your Genesis website and ensuring compatibility and functionality. 3) We can also design and develop plugins for WordPress and Genesis to extend the functionality of your website if a suitable solution does not already exist. Are you struggling to find the right topic for your new blog? Check out this guide on finding a blog niche which goes into extreme detail in teaching you how to discover your niche and ideal subject matter.